It is a requirement of your Agreement, that the goods are protected against Theft and Accidental Damage. We can arrange Theft & Accidental Damage Cover for £1.72 per week. It is a requirement that products purchased on a credit agreement are insured. We can offer Theft and Accidental Damage Cover for £1.72 per week. 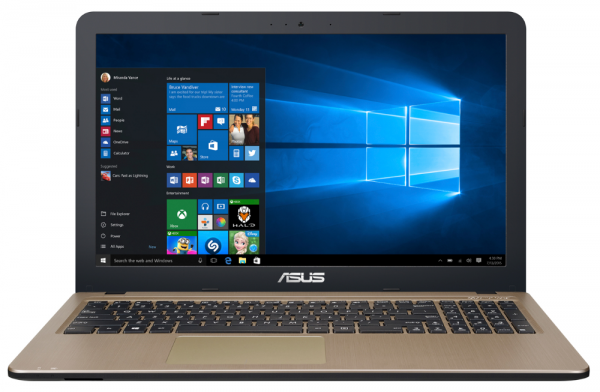 If you’re after a no-nonsense laptop to tackle your daily jobs then look no further than this ASUS Vivobook. It’s rocking a Full HD display so all your documents will looks crisp and clear, and it’ll be great for kicking back and relaxing with a few videos too. There’s shedloads of space to save everything thanks to the 1TB hard drive, while the combination of an Intel® Pentium® processor and 4GB RAM keep things ticking along nicely whether you’re browsing the web or organising your photo library.